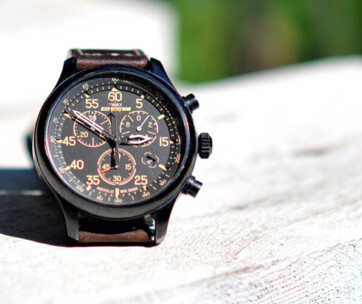 With a fully customizable strap that allows you to incorporate a variety of survival and emergency tools within the strap itself, giving it a rather odd yet very stylish appearance, the Leatherman Treat Tempo Watch is the perfect gift for today’s adventurous gentlemen or even those homebodies who prefer to get their hands dirty from time to time. 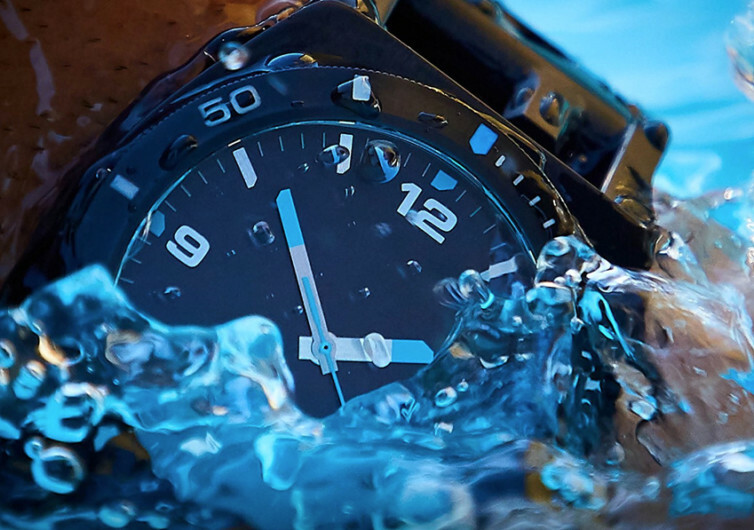 While it can be rightfully considered as a multi-tool EDC, the Tread Tempo nonetheless features all the fine qualities of a superbly-crafted timepiece including precision Swiss movement, stainless steel body, and sapphire crystal glass. It features a fully adjustable and customizable strap that not only guarantees the perfect fit around one’s wrist, regardless of size, but also allows for the integration of up to 30 different tools that is perfect for tightening and loosening screws, bolts, and nuts. There are flat tipped and Philips head screwdrivers, Torx and Pozi drivers, and even box wrenches and hex drivers. 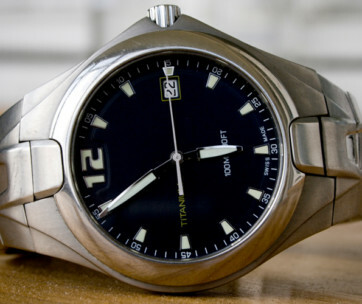 It’s a timepiece that even James Bond would die to have. The links with built-in tools can be easily removed or added in half- and quarter- inch increments while the clasp can also be adjusted up to an eighth of an inch. It’s the kind of design that is thoughtful enough to give you the perfect fit while also empowering you to carry the right tools you need for the right job. It’s all about choosing the right tools that you’ll need to accomplish your mission for the day, regardless of where that mission is to be carried out or with whom you’re going to accomplish it with. 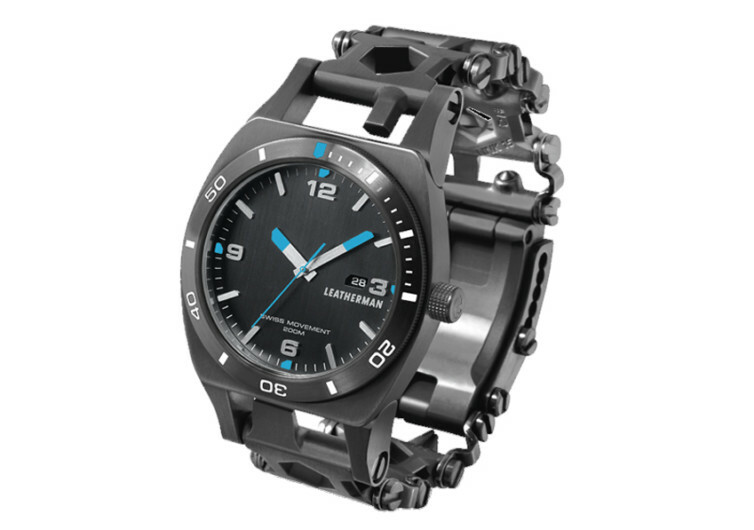 The Tread Tempo band comes with Leatherman’s 25-year warranty that should give you the peace of mind regarding the tool’s absolute usefulness and durability, although the timepiece itself is covered only by a couple of years. It’s still better than not having any guarantees at all. 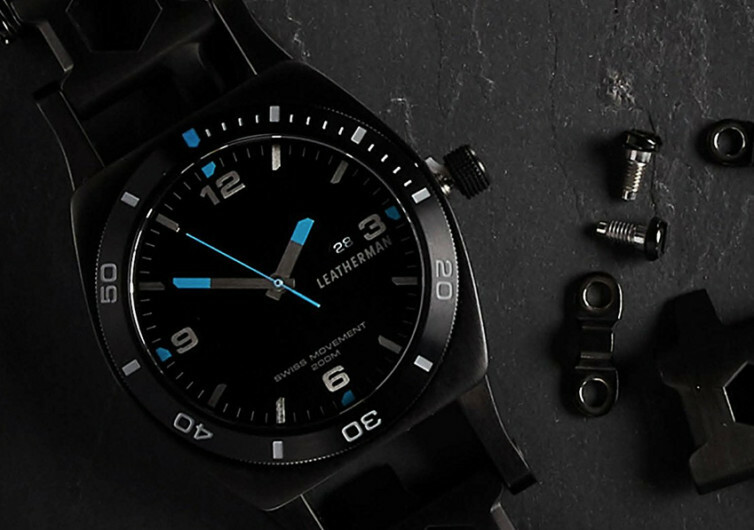 The Leatherman Tread Tempo is a fusion of Leatherman multi-tool ingenuity with the elegant design of a classic timepiece you’re destined to wear.